If you've ever read any personal development book written since the beginning of time, you've probably heard the words "take action" as the mantra to making all of your dreams come true. You can dream about it, hope for it, but unless you take action, you won't achieve your goals. But I'm here to offer another perspective. It comes from personal experience. I can look back at all the times I took action to go the gym or start on a new idea or write down my goals. But, when I look at the result, it pretty much looks the same as if I hadn't taken any action. For example, I can recall the days that I woke up early, drove to the gym and pushed by body to the limits. There were also times when I was struck with a brilliant idea and took the first steps towards bringing the idea into existence. None of that mattered because, in the end, I still didn't maintain my fitness levels and I still didn't work on my idea until completion. There's a difference in results from the guy who writes down his goals after reading Think and Grow Rich and the guy rewrites his goals on a daily basis. The person who starts working out and the one who goes to the gym no matter how busy life gets. Building a website business, or blog is not the same as writing and marking on a daily or weekly basis for years on end. Taking action isn't the key to achievement. The key to achievement is daily action + completion. I say this so we can be real with ourselves whenever we get excited about a new venture. When I say that taking action is worthless, I mean we have nothing really to show for all the times we started taking action but failed to continue. We have to realize that results require consistent action in order to be maintained. 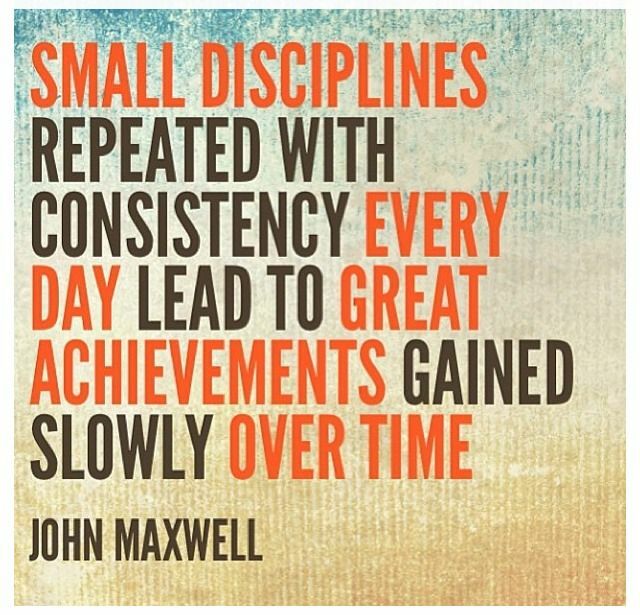 Consistent daily action is NOT the same as taking action. Taking action is fueled by motivation. By the excitement we feel about what we might achieve. Daily, consistent action requires something completely different. That type of action requires commitment, and the ability to honor your word long after all the excitement is gone and especially when we don't feel like it. Taking action may actually have a negative side. 1. All of those things I started but never finished are in the back of my mind constantly reminding me of what I haven't accomplished. That type of energy weighs me down and brings my motivation levels even lower. 2. Even if I decided to pick up where I left off, I now have to deal with the challenge of overcoming high levels of resistance. Resistance seems to be greatest at the start of a new venture and declines as we build consistency. Each time we start again (after stopping) we essentially go back to step one. Last year I took action to build a new website based on a great idea. I invested money time and effort to build the site and create content. Then, I stopped. Yes, I took action but I experienced no real results except for the fact that the website exists. I do plan on going back and working on the site again but I know that I'll be essentially starting from scratch even though I've already invested countless of hours. This time, however, when I start again, I'll go in with a different mindset about what taking action really is. I now see daily/consistent action as something unique and separate from the type of action I used to take. Small victories daily are now what I will value more than anything. ok, wasn't too sure where you were going with this one, but as usual, on point. It's chilling that you brought up the website as I have spent the last few weeks building a new blog on wordpress and its basically done, but I have yet to press that magic final button and resistance and doubt are trying to creep in. Time to stop beating myself down and get back on the grind. consistent daily action is key. Nadege, if you haven't read it already, I think you'd enjoy One Small Step Can Change Your Life: The Kaizen Way by Robert Maurer. Thanks for the recommendation Misha! I love the topic of Kaizen and will definitely check this book out.